Mice and rats can multiply very rapidly, so once they enter a structure and are left untreated, you can be sure they will quickly grow in number and so will the problems they cause. Luckily, you have access to affordable Sacramento rodent control services which includes rat control, mice removal, squirrel removal, and more. If you find any signs of a rodent infestation, call our Sacramento pest control team right away! If you’re wondering if you need to head to Google and search for “rodent control near me,” we can help. Read below to learn about some of the most common signs of a rodent infestation and how we can help get rid of the critters for good. Seeing Rodents: The most obvious sign that you need the rodent control Sacramento residents depend on (that’s us!) is actually seeing a mouse or a rat running in or around your home. The most likely places to find these furry creatures are in the kitchen, garage, basement, and attic. Typically they will want to be nearby a food source but also not too close to humans. Seeing Rodent Damage: Rodents can cause a surprising amount of damage to your home. Rodents’ incisor teeth continuously grow, meaning they need to gnaw on things to keep them filed short. Their favorite things around the house to munch on are wires, cords, insulation, and even walls! 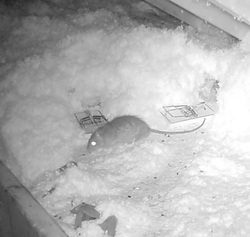 Finding Damage To Food: Like we mentioned earlier, rodents need to be near a food source. If you find holes chewed into your pantry goods or other evidence a rodent has been munching on your snacks, call us for Sacramento rodent removal ASAP! Spotting Rodent Droppings: That’s not a raisin! Mice and rats don’t care where they leave their little droppings. You are likely to find them in corners in the basement or garage or in the pantry, but you might spot them anywhere. Finding A Nest: Rodents build nests to live and raise their young in. If you spot any nest-like areas in your house, usually made of paper, fabric, or plant matter, you likely have a big infestation looming. Foul Odors: When rodent problems become big infestations, you’ll smell it. Your pets might notice it before you do, so watch out for them sniffing at walls or doors. Those are just a few of the many signs of a rodent infestation! If you notice any of these, get in touch for effective Sacramento rodent control. 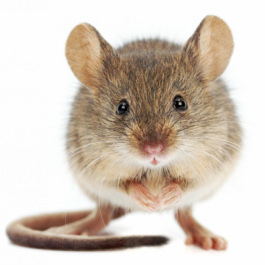 Using a variety of methods like trapping, exclusion, cleaning, sanitation and odor control, our services effectively rid your Sacramento home or business of rodents and prevent them from coming back. Mice and rats can damage food as well as structures so removing them and preventing their return is vital. Our Sacramento rodent removal team can get the job done! Afraid you have rodents? Call today for a home rodent inspection.